Welcome Justina Chen, author of some of my favorite books growing up! She took the time to answer a few questions for us on her books. Where did Patty Ho come from? How much has your own life influenced your writing of Nothing but the Truth? Imagine being surrounded by teens who are mocking you in pseudo-Chinese. That’s exactly what happened to me and my kids one day. The next morning, Patty introduced herself to me while I was running the morning. To be perfectly accurate, she started dumping on me three miles into my run. She ranted about not being able to get a date, ironic since her last name is Ho. Then she told me about being half-Asian, half-white, and all-American. I couldn’t resist writing her story. As an Asian American, how much of your cultural heritage do you try to reflect in your writing? I drew on my cultural heritage to write my first three novels–North of Beautiful, Girl Overboard, and Nothing but the Truth (and a few white lies). Why do you write YA lit? I have always loved YA! Let’s just say that I wrote my first YA novella when I was about ten. Teen years are exhilarating and bewildering and tumultuous and wonderful–and I adore exploring that important time in our lives. What are you working on now? Talk about drawing from my past! If you can believe it, I went to 13 proms when I was in high school. And I drew hard on that experience to write my forthcoming novel, A BLIND SPOT FOR BOYS (August, 2014). (And an obligatory silly question.) What’s the funniest thing that ever happened to you? How about a different obligatory silly question. What’s the strangest thing you’ve ever eaten? When I was Peru, guinea pig was on the menu. Couldn’t do it. That said, I must say alligator tastes a lot like chicken. Justina Chen is an award-winning novelist for young adults whose most recent book, Return to Me, was called an “uplifting story” by Publishers Weekly. North of Beautiful was named a Best Book of the Year by Kirkus and Barnes & Noble. 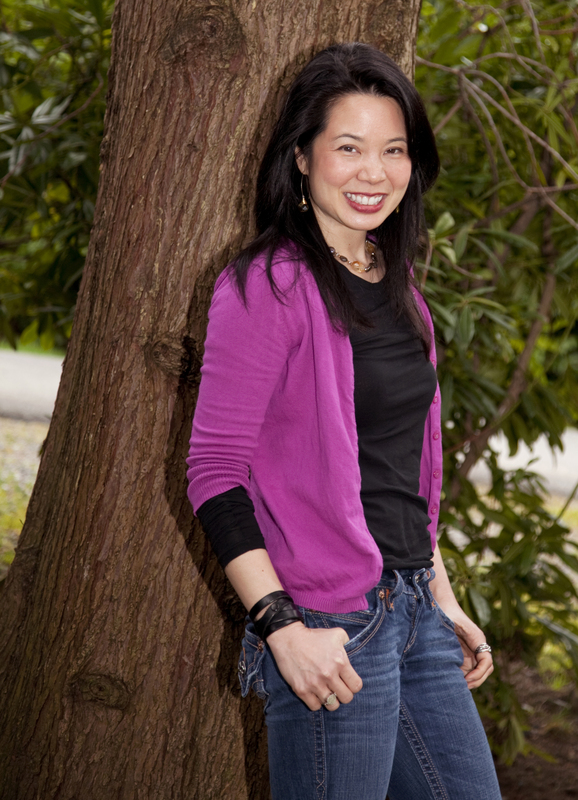 Her other novels include Girl Overboard (a Junior Library Guild premiere selections) and Nothing but the Truth (and a few white lies), which won the Asian Pacific American Award for Literature. Additionally, she co-founded readergirlz, a cutting-edge literacy and social media project for teens, which won the National Book Foundation’s Prize for Innovations in Reading. When she isn’t writing for teens, Justina is a communications strategist for executives and was the speechwriter and executive communications manager for a president of Microsoft. She conducts popular corporate storytelling workshops and has presented at prestigious organizations ranging from the Mayo Clinic to NASDAQ and AT+T to SAS. Great interview! Thirteen proms??? My goodness! Looking forward to A Blind Spot for Boys.